The Trip Of A Lifetime - NORTH TO ALASKA! 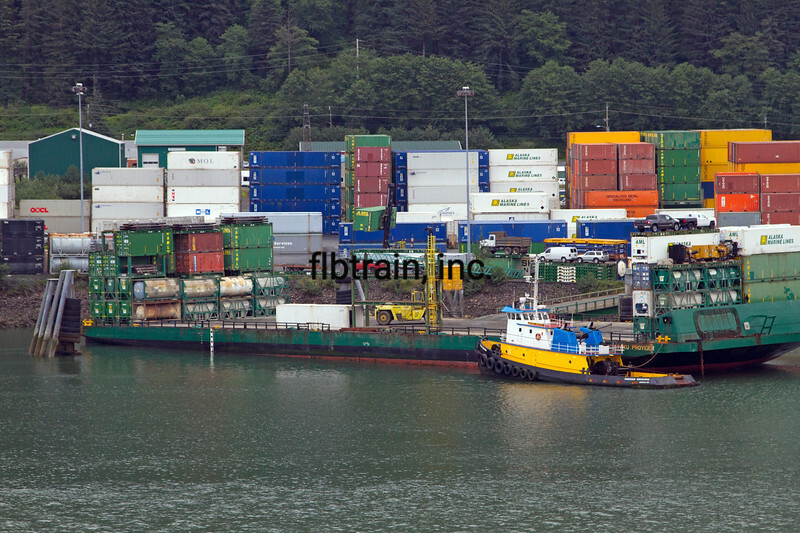 Container terminal & tug/barge. We sail into Juneau, AK, 8/19/2015, Cruise Day#4, Holland-America Oosterdam.